If you want to learn the basics of sculpting then this after-school program is a must for students age 12-16 at ArtsWestchester. Use various materials including paper, paint, and sculptural items to design a mask. 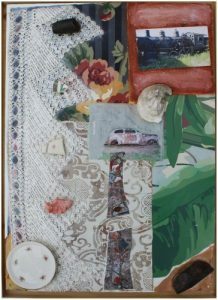 Artist Ezra Silverman will present ideas and themes to creating an interesting mixed media project. Sign Up Today! Enrollment is limited and is on a first come, first serve basis. Contact Jessica at 914.428.4220 ext.314 or [email protected]. Click here to meet the Artist, Ezra Silverman. For a complete list of upcoming Teen Tuesdays at ArtsWestchester, click here.